The aim of the lecture is to introduce the historical and artistic heritage of the Roman archaeological site of Tróia (in English “Troy”) located in the Southwestern Atlantic coast of Portugal. Tróia is the name of a peninsula on the left bank of the river Sado and despite having been subject of great interest and considerable studies since the sixteenth century CE, much remains to uncover about this place. Surrounded by an attractive natural environment, Tróia, conceivably an island in Antiquity, became an important Roman industrial complex in the first century BCE. Tróia displays noteworthy fish-salting workshops, diversified examples of architecture such as balnea (with remains of mosaics), insulae, diverse funerary monuments and an Early Christian Basilica with beautiful wall paintings. Although not numerous, the sculpture of Tróia (statuary, architectural sculpture and reliefs) is varied showing the relevance of this peripheral place in the intersection of religious (i.e. the Mithras cult and Christianity) and artistic movements of the Roman world. 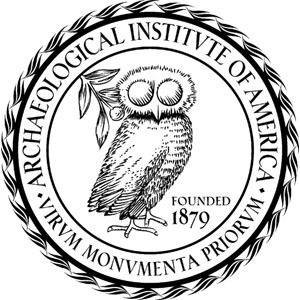 Tróia slowly declined through Late Antiquity (late fifth to early sixth century CE) but its historical and artistic legacy remains as one of the most eye-catching issues for the understanding of Antiquity in Portugal. We hope to see you in 108 Rhode Island Hall Thursday Oct. 29 at 6:30 pm! As always, we will be live-tweeting this lecture so you can get the highlights from the talk even if you are unable to make it. This lecture will begin at 6 pm with a reception to follow after, and will be held in 105 Ruane Center, Providence College (please note that this is not the usual location!). 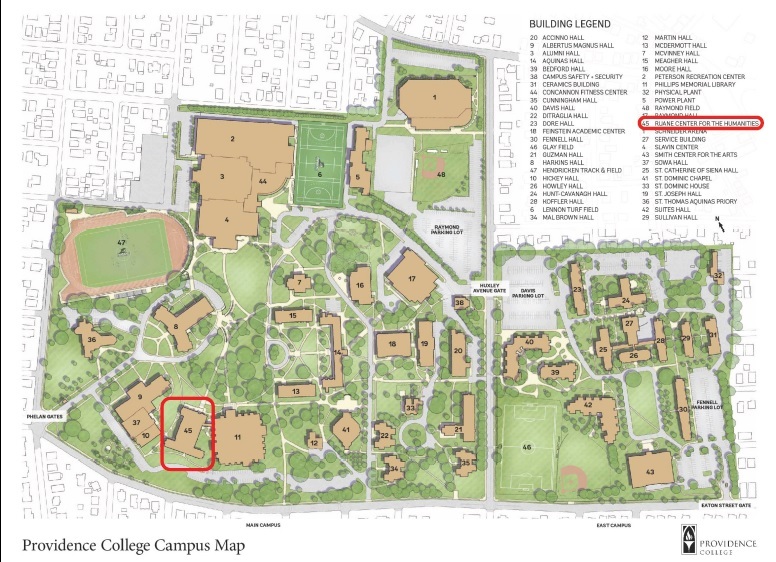 See the map below for more information on the location of the lecture on Providence College campus. If you’re not able to join us, don’t forget to follow us on twitter and like our facebook page for updates during the lecture. 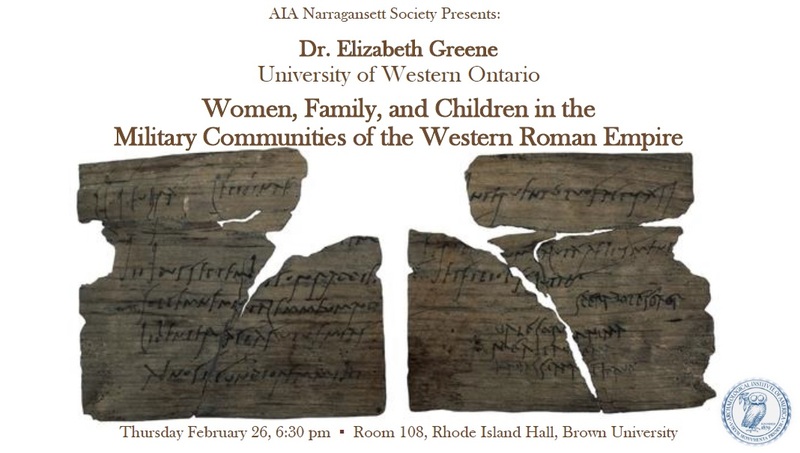 Come join us for an exciting talk by Elizabeth Greene tonight in 108 Rhode Island Hall, Brown University at 6:30 pm. If you are unable to make it, follow us on twitter (@NarragansettAIA) for a livefeed of the lecture. We hope to see you there!